There are a few opportunities in our current market to buy office buildings, in particular, at good value. With office vacancy at a high there is not a lot of demand for vacant office investments. However, for investors that can afford it, this is a great time to buy. Buildings without income are certainly selling at reduced values given the uncertainty of the timing of the office leasing market rebound. We do have opportunities available that may not offer the desired cap rate but have some income. Leasing out vacant space in these properties will only add to the return, which could exceed expectations when fully occupied. Options like the Urban Oasis Tower on the 21st pedestrian corridor is a prime example of a property ripe for renewal. 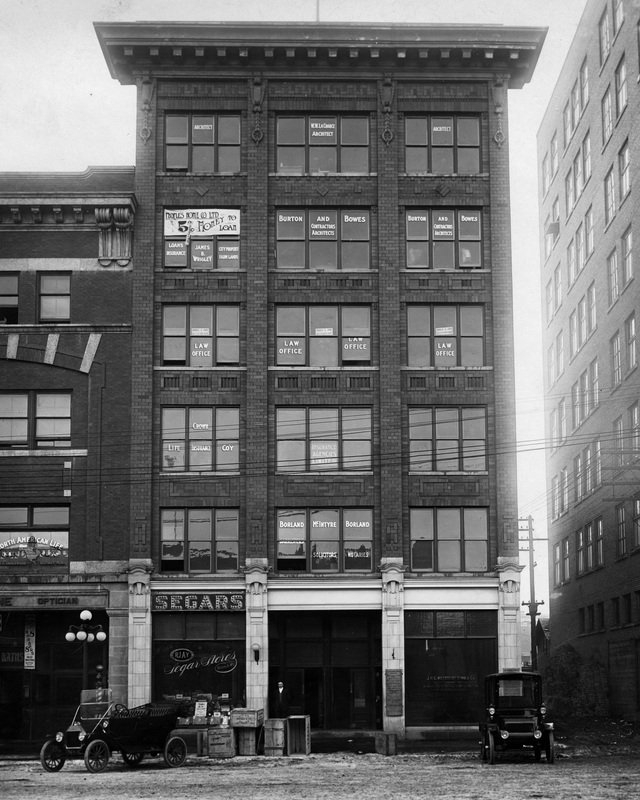 The building was built in 1910 and has housed a number of businesses over the years. Two floors of the six storey building have been renovated and offer turnkey space for tenants or owner users. Existing income on the main floor retail tenants has been secured with recent renewals. It is in the centre of the highest foot traffic zone downtown but it doesn’t come without its challenges. There are three floors of 1,800 SF each that could use some love. Having walked the building today with buyers, I sensed the scope of work might overwhelm them. Sophisticated buyers are less likely to be concerned, but renovations can be a daunting feat for the unsophisticated. Vision is needed in the transformation of old to new. An option discussed with the would-be buyers was to occupy the completed portion of building themselves while working on the other floors. Down the road, they could move into the renovated spaces and still have good office product to lease from the existing improved floors. The main floor rental income definitely will offset some of the expense of the renovations as well. With any renovation there can be a litany of unknowns. I’m an addict of the home renovation shows and I’ve seen horrified homeowners face stiff bills for hidden asbestos removal or fully rewiring a home. We recommend a good review of any premises with any or all applicable engineers and trades. We will visit a property multiple times to ensure the buyer’s contractors have got a good base to provide their estimates. A projected budget with contingency for potential unknowns is necessary. All expenses incurred plus carrying costs need to be considered. You may not be able to anticipate everything but a prepared buyer will go into any commercial real estate acquisition with their eyes open. That’s where we come in. Maybe you can’t see the vision. We’re there to help give realistic expectations of our market and how the finished building will be received. If you’re thinking of buying or selling a commercial real estate property, contact Barry or myself. A few helpful tips now could save you significantly down the road.